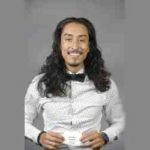 Scholarship recipients are selected based on good character, industrious qualities,…a desire to work and learn, scholastic achievement, test scores, school and community involvement, and demonstrable financial need. Mary Cecile Chambers was born in 1887 in Turtle Bayou, Texas, to Landon Gore Chambers and Charcilla Van Pradelles. She was the last of four children born to Mr. and Mrs. Chambers. Their first child, William Morton Chambers (1875-1878), died at the age of three; their second child, Albert Chambers (1882-1901), died at the age of 19; their third child, Robert White Chambers (1884-1958), died at the age of 74; baby sister Mary Cecile lived to be 83 years old. In 1905, Miss Chambers, a stenographer by trade, purchased a home in Galveston at 1520 Market. The house is now known as the Grover-Chambers House; George Grover was the original owner of the house which he built in 1859. In the application for a Historical Marker, there is mention of a Lar oak tree on the property, which is considered the oldest on Galveston Island. In 1969, a year before her death, Miss Chambers drew up her Last Will and Testament. In it, she bequeathed various sums of money to five cousins. She also bequeathed money to the Roman Catholic Bishop of Beaumont, TX, to be used for the benefit of Our Lady of Light Catholic Church in Anahuac, TX. The remainder of her estate was used to establish the Mary Cecile Chambers Scholarship Fund; she appointed Moody National Bank of Galveston as Trustee to administer the Scholarship Fund. Miss Chambers was clear in her wish to provide young men a higher education or vocational training to better their chances at gainful employment. She was just as clear that “intellectual as represented by high grades nor poverty shall be paramount qualifications to receiving a scholarship but rather the probability of practical benefit, taking into consideration good character, industrious qualities, and a desire to work and learn (and particularly a wholesome and positive attitude toward work) as well as general ability and financial need.” Additionally, it was her “earnest hope and desire” that the young men who benefit from this scholarship fund will voluntarily be willing to do for others what has been done for them, so that the work of the Fund may be carried on and enlarged. Miss Chambers died in 1970 at the age of 83. She is buried in the Wallisville Cemetery in Chambers County, at the foot of her mother’s grave. As an immigrant and first generation student, the challenges are great, but the support I have received has been greater. Through the Mary Cecile Chambers Scholarship, I was granted the opportunity to pursue a higher education in Sociology and Spanish. Thanks to those who, like Ms. Mary Cecile Chambers, continue to impact others with the legacy they left behind, individuals like myself are able to become educated with the hope to one day be able to impact our communities in a similar manner. As time goes on, my appreciation for this blessing simply increases and with Grace, I give thanks. Thank you for your financial support through this amazing scholarship! You are part of the reason I was able to pursue higher education at DBU, and for that I am forever grateful! I am humbly honored to receive this scholarship and I am so thankful for you. Without your financial assistance I could not attend Dallas Baptist University. You have lifted a huge burden off my shoulders and have given me an incredible opportunity to study music business. Thank you again for your generosity. May the Lord bless you and keep you in return. As always, thank you so much for supporting my education in this manner. 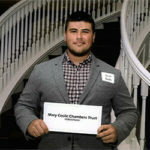 The Mary Cecile Chambers Scholarship is one my largest sources of aid; without it, my education would not be possible. 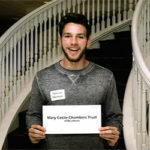 The Mary Cecile Chambers scholarship provided me with the support I needed to pursue a further education. Without their generous assistance, I may not have been able to attend A&M. I owe these past 3.5 years in great part to the directors. Thank you. The Mary Cecile Chambers Scholarship is the means to my future. I see this scholarship as a life boat. This amazing scholarship gives me the opportunity to succeed at following my dream of helping others wherever I go as a future emergency room nurse. It is because of this scholarship that I am able to attend college, overcome my family’s financial hardships and will not be forced to put my dreams on a back-burner. A simple thank you will never be enough to truly express how grateful I am for receiving the Mary Cecile Chambers Scholarship and I will be sure to prove how much it means through my everyday effort I put into school. I am extremely thankful for what this scholarship has enabled me to do with my future. When I was 2, I knew I wanted to go into engineering and one day work for NASA. Mary Cecile Chambers has allowed that dream to start to take shape. This scholarship has enabled me to be at the school I wanted and enjoy what I am passionate about (mechanical engineering and mathematics double major). It is more than a scholarship to me; it is my future. And for that, I cannot express my gratitude for your belief in me. The Mary Cecile Chambers Scholarship has been truly incredible. Without it, I would of had to take out several bank loans to finance my college education. Thanks to the generosity of the scholarship, I can pursue my education without worrying about how I will pay off my student debt. I am forever grateful for this scholarship and it has had an enormous impact upon my education. The Mary Cecile Chambers Scholarship is renewable for up to four years, or until a Bachelor’s Degree is obtained, if earlier, provided that student recipients continue to satisfy the scholarship’s terms and conditions. Scholarship awards pay a minimum of $2,000 per semester (Spring and Fall semesters only) towards a student’s tuition, fees, books, supplies, and on campus housing costs, and are mailed directly to the college or university or educational institution (no refunds or monies are to be issued to the student). 1. Applicant must be a male student residing in the State of Texas (as such residency is defined in the Application Information, Instructions, and Terms and Conditions document that may be found in the link to the scholarship application below). 2. Applicant must be in need of financial assistance. 3. Applicant must have a grade point average of 78 (C+) or higher if currently enrolled, or have maintained a grade point average of 78 (C+) for the most recent semester of enrollment if not currently enrolled. 4. Applicant must not have a criminal record (excepting minor traffic violations). 5. Applicant (or any immediate family member, or any person in the same household) must not be an employee or director of Moody National Bank. 6. If the applicant attends college, vocational or trade school and maintains 9 or more hours each Spring and Fall semester and a 2.50 Cumulative GPA, an awarded scholarship may be renewable for a maximum of 4 years, or until a Bachelor’s degree is achieved if earlier. If GPA falls below 2.50 in a semester, the student will be in probation status. If GPA is below 2.50 for 2 consecutive semesters, or if the student does not maintain 9 or more hours in any Spring or Fall semester, any scholarship may be withdrawn at the discretion of the scholarship committee, in which case no further scholarship payments will be made. After any withdrawal of a scholarship, the student may re-apply for the scholarship during the first calendar quarter of the following year. Any re-application will also require that the student write and submit a letter (at least 200 words) explaining his grades, or his failure to maintain 9 hours, and his plan for personal improvement. Please download and complete the application form below. 2019 scholarship applications will be accepted beginning January 1, 2019. They can be scanned and sent to admin@marycecilechambersscholarship.org or mailed to ATTN: Claire Wilkins, Scholarship Supervisor, 1319 24th St. Galveston, TX 77550. See application for details. Your school or local library will be able to assist you with scanning your completed application to create an email-able document. Accepted file types are Doc and PDF. If you have difficulty emailing your documents, please contact Claire Wilkins, Scholarship Supervisor at 409.539.1953. Be sure to attach your documents to the email and include your name, email address, best phone number to reach you at, student’s full name, and the student’s high school in the email message. All scholarship recipients must download, complete and return the following form below. Scholarship Confirmation forms can be uploaded below.